Incredible value is built into this aboveground pool. 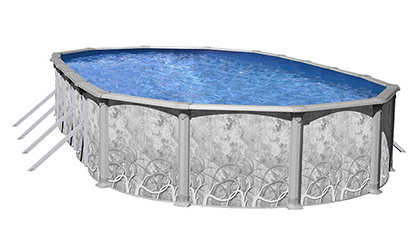 The Nevada Steel Above Ground Pool features strength and beauty and is the perfect addition for any family’s home. What’s not difficult to see in its entirety is the value and beauty of the Geneva Steel Above Ground Pool from Blue Cascade. 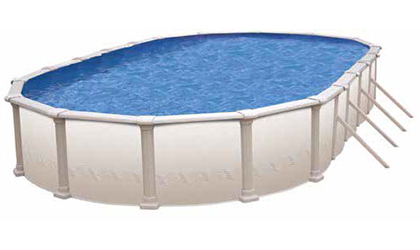 Like a Queen, The Victoria Steel Above Ground Pool brings unique style, beauty and grace. The design inspired wall, color coordinated posts and top seat will complement any backyard. 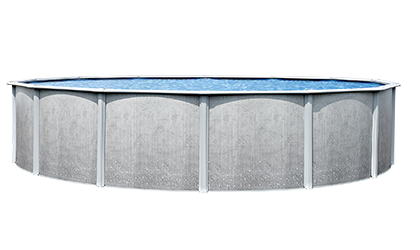 Like the falls, The Inspiration II aboveground swimming pool from Blue Cascade has unmatched beauty, strength, and durability. Named for this impressive seven drop waterfall is the Serenity Aboveground Pool from Blue Cascade. standards. Just like The Alexander Falls, this swimming pool is beautiful to behold! The Alexander is the ultimate in size and construction design, with each piece manufactured to exacting standards. Steel Above Ground Pool Options. the Serenity Oval Steel Above-Ground Pool. Steel Above Ground Pools are Some of the Most Affordable Above Ground Pools on the Market Today. Their Steel Frames Provide Structural Strength Insuring Years Of Faithful Service. Yet Their Price Range Fits That Of The Most Conservative Budget. 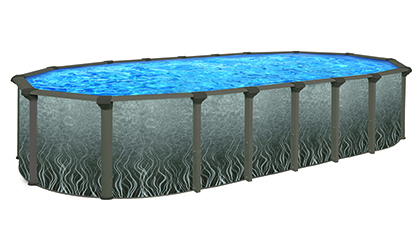 Blue Cascade offers FIVE Steel Above Ground Pool Models to Choose From. 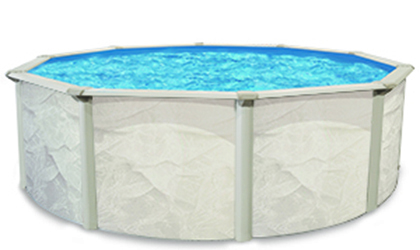 Our Large Selection of Steel Above Ground Pools Insures That You Will Find A Model That Meets Your Decor With The Specifications Your Are Looking For. Six Above Ground Pool Liner Patterns To Choose From in Four Different Bead Styles. We Have The Perfect Interior Pool Finish for Your New Steel Above Ground Pool. All Blue Cascade Pool Liners are Proudly Made In the USA.